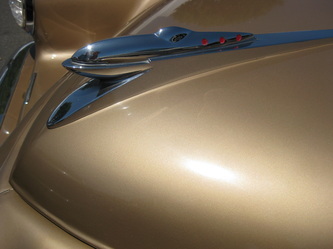 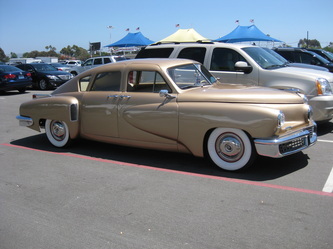 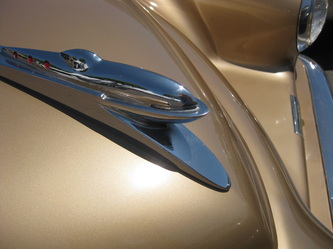 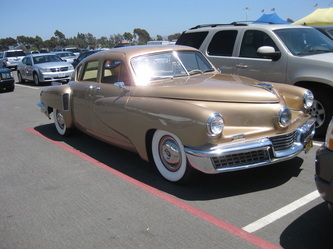 You will notice my first few pictures are of a Tucker, a beautiful gold Tucker... but not on the concourse... in the PARKING LOT! 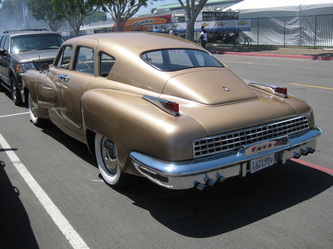 A Tucker is worth approximately one million dollars. 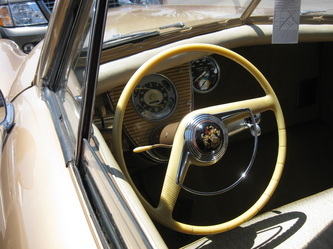 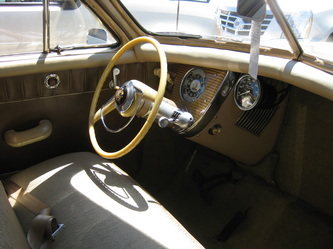 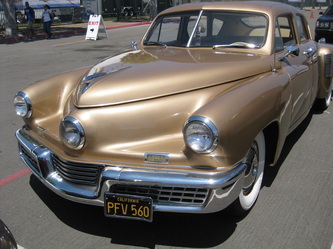 There were 51 cars made, it received the nickname Tucker 48 because it was created in 1948. 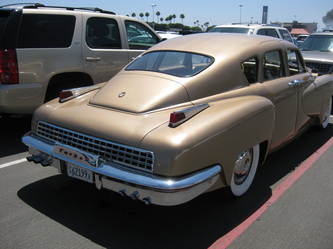 Below the Tucker are picture from the La Jolla Concourse.